WE ARE GOING TO THE STATE FAIR TODAY! I can't tell you how excited I am about Big Tex, Corn Dog(s), and Cotton Candy. I'm also SO excited about today's giveaway. My 3 year blogiversary giveaway was this past Saturday! I wanted to celebrate by offering my loyal readers a chance to win a few of my favorite things. GFC, RSS, bloglovin', etc. This is an opportunity for me to show my gratitude to my loyal readers over the years...not a free-for-all for people wanting free stuff. Thank you all so much for being a part of this little space over the years. I appreciate you more than you know! YOU CAN ALSO USE THE CODE "CELEBRATE" IN THE SHOP FOR 20% OFF YOUR ENTIRE PURCHASE - THIS ENDS TONIGHT AT MIDNIGHT! Your DIY looks great too! Happy blogiversary! I have always thought your blog button icons were the cutest! Love the colorfulness I see here every day! My favorites are the posts where you get deep - I love the love you have for God! blog a kiss to a draft horse for me. our fair season is over here up north. draft horse barn is my favorite place. my favorite of God's creatures. I just found your blog recently, but I can already tell you I'm a loyal reader! I've really enjoyed going back through past posts. Keep up the good work! Super happy blogiversary! I'm thankful that you blog- it is always fun to read about what kinds of creative and beautiful things you're doing. Happy blogiversary! I love your style. It keeps my instagram and google reader full of cute and colorful things! I love everything about you blog, You seem like a wonderful woman and I'm glad i stumbled upon your page! I love that you are going to the fair. Please eat cotton candy for me, I may not make it out there this year. Have a fabulous time. I remember the first time I came to the blog and I just loved the entire look of it, it felt cozy! I love all your DIY posts and your craft space! So glad I stumbled onto your blog today! It made me smile AND made me think. My favorite kind of blog to read! Happy Blogiversary! Happy blogiversary sweet lady! Hmm, that's a tough one. But i realllly love the posts where you get real and share your heart. 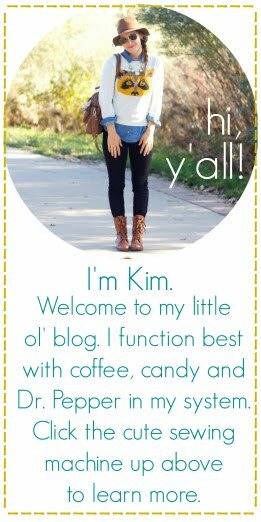 Happy blogiversary, Kim! I love your willingness to share not only your DIY talent, style advice, and fun ideas but also your heart slash get real posts on how the Lord is sharpening you daily. Eat some fried goodness today! I follow you in google reader. That counts, right? I love your blog and I think you and all the things you make are adorable! Happy Blogiversary!!!! My fav. thing about your blog are all the DIY things you share! There are always so many fun things! For instance.. the earring holder from a week or two ago.. AMAZING! i have been looking for pieces to make one myself! also - love how adorable your blog is.. the design is so cute! pinned this about your hoop art!!! I just love how crafty you are and I love your tutorials! And your recipes look so delish. I love your fashion sense! I live vicariously through the outfits you wear. I love your posts about fashion, your awesome DIY posts, and when you share your heart with us. Thank you for sharing your life with us day in and day out. We love you! Thank you for the giveaway! I love your tutorials, I still need to get going on them, but I am very inspired by the stuff you share... and I can't wait to see what you come up with for your new baby! My favorite thing about the blog cannot be confined to just one thing! I enjoy your cute outfit posts, trying out some new recipes that you post, and of course the spiritual motivation mixed in with it all! My favorite thing about the blog is that your real, not someone who just writes things thinking people will like you better if you read them. Your down to earth and I love your sense of style!! The DIY tutorials are great!! Keep up the good work lady!!! My genuinely favourite thing is that when you write about Jesus and you don't make following Him sound easy peasy. AND when you did a outfit post and disabled comments I thought that was incredibly telling of your heart for His glory rather than your own. lady i love your passion for Jesus! you shine his light which makes your blog so refreshing! I also love your style posts—your fashion inspires me to wear my clothing in unique ways! i think everything... especially you! I love this blog and follow it via blogger, pinterest, instagram, etc. I think that counts right? What a fun prize! You are one of my favorite bloggers, I feel you are so... well, real. Which can be hard to find in other bloggers. Love your style, your decorating ideas, and your heart! i love your sarcasm and all the homey pictures you post. i always feel all cozy when i look at pics of your abode. Happy Blogiversary! Love all the seasonal recipes- keep 'em coming! 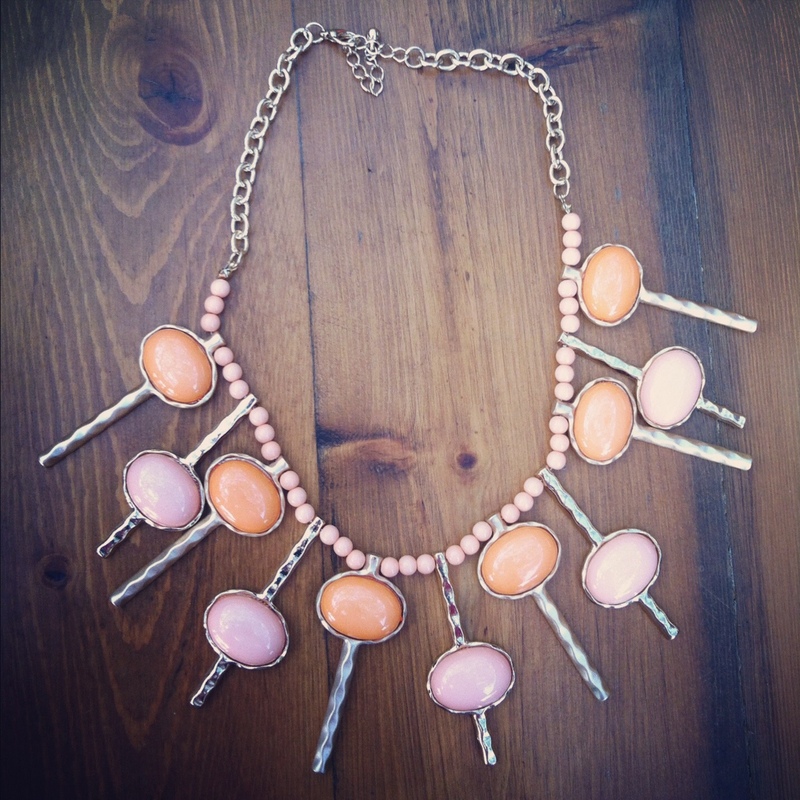 I love this giveaway :) Happy Blogiversary! I love your refashion posts, but most importantly I love how you are willing to talk about God in your post. Some bloggers don't always share things like that, but I'm happy you do. your blog is just plain cute. I love the crafts and the fashion. I hope my blog is just has fun as your blog one day! I love the cake in a jar post/tutorial! It was to only very cute but could be adapted for any type of party or favor! 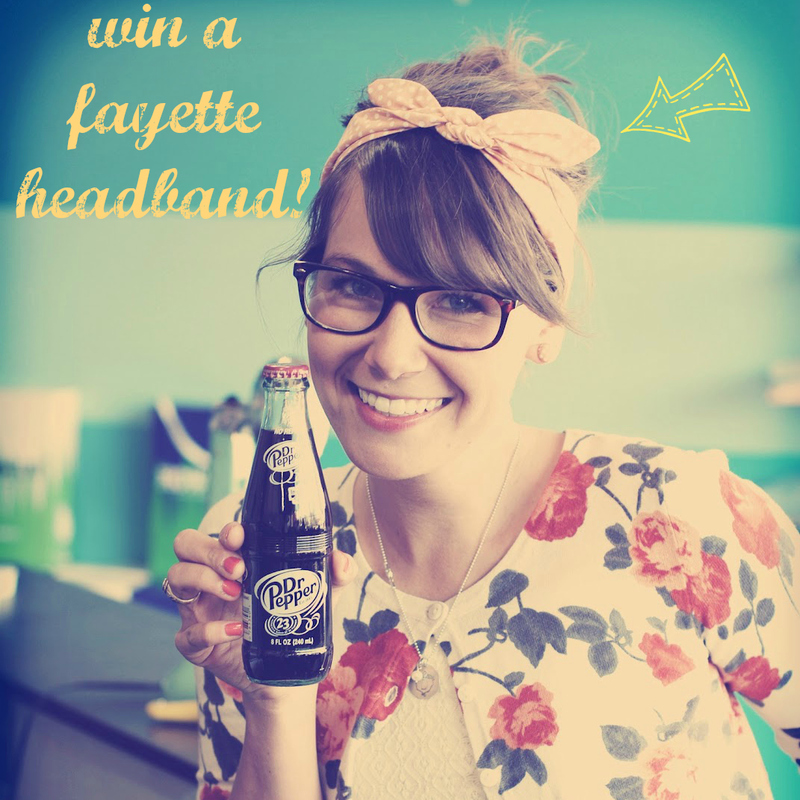 so hoping i win a headband...love! I love how real and open you are! This blog is seriously one of my favorites out there because you are the real deal! Thank you for sharing your creativity as well as your struggles! Thanks for posting about this giveaway! You are so sweet! I LOVE your honesty. You aren't afraid to come across as "harsh" for the sake of clarity and honesty. I also really loved your post about martha and mary. could relate on so many levels. pinned your tutorial on cake in a jar. Umm what isn't there tp love about you and your sweet blog! You're so sweet and uber creative. Still up on my top 5 list! Love it! Hope ya'll are having a wonderful time in Tejas! I'm a new follower and would LOVE to win! my favorite thing is your love of ice cream. that was probably my favorite series. ever. I love your gorgeous pictures and then fun vintage feel that so many of them have! I love how much love and passion you have for blogging, it shows in every post and is incredibly inspiring! Thanks for sharing your blog with us. I love that you are an Aggie!!! WHOOP!!!!! so fun to discover your blog, would love to win! Just the name of your blog makes me smile. I first found you on Twitter! Congratulations on your new bundle-to-be of sweet joy!! Oh, and my favorite thing about your blog? Your unabashed honesty in matters of the heart. So refreshing and convicting at times. Congrats on 3 years!!! <3 This is a wonderful giveaway, so sweet of you! I wish you much more success. I love your posts. But I really love your design. So great! Love love love your DIY tutorials!!! Love your outfit post! And excited for this giveaway! I love all of your colors, ideas, thoughts, and smiles! i love that i can see your cute personality shine through your blog! and whenever i read your blog, i always say, i can totally picture/hear kim saying that (in real life)! miss you to pieces!! I love that you are transparent--you are genuine, and I am 100% sure if I met you in real life, you would be just as you portray yourself here! I honestly love your pictures. You crack me up! I actually just found you!! I love your photos and the beauty of the blog! I love crafts and it looks like I will be right at home here. I love your photos! Such great stuff for a giveaway!! Such an awesome blog with real down-to-earth post! I love it! Happy Blog-i-versary! :) Congratulations! I'm loving all the adorable pictures & the tutorials are really fun! Happy 3rd Blogiversary! Enjoy your tutorials and your wear posts. love this giveaway! happy blogiversary! Congrats on 3 years!! What a great giveaway, thank you! Just recently came across you blog, and I have to say I love it! Fantastic posts and ideas! Keep 'em coming.